Best Free Security Programs For New PC? Yeah your PC is probably riddled with virus's. Also if anyone has some decent malware links I'm looking for nasty sites to test some new firmware on. Last edited by Vulcan; 3rd August 2015 at 12:51 pm. The most recent AV-Comparitives show Panda Free Antivirus to rate very highly. Avast is also good. You'll be fine with either of those. Panda is pretty bad. It was used in our MSP bundle. They are so slow at updating it's not funny. Only if he was using Windows 7, but since he just got a new one today its probably Win 8.1 or 10, which there is no MSE for - it's Bit Defender. I don't run AV at home. I do at work (obviously). I install an AV app every few months or so and never have anything to be found... just don't be retarded and use adblock. Oh I so miss the 32bit days. Its not just Sandboxie which has issues with zero day kernel exploits its all security products. ever since microsoft changed things with patch guard software venders have been unable to get their hooks in at Ring 0 in the kernel hence making them less effective. It was talked about here http://www.wilderssecurity.com/threa...ective.350960/ At the time. End conclusion was it was only a theoretical bypass since there was no real live samples or poc's to be found. Other than keeping your OS updated with microsoft patches, we need to be creative and think of ways to block the delivery methods of zero day kernel exploits. 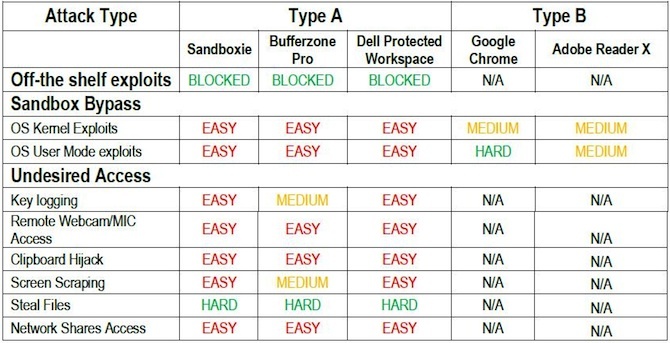 But putting kernel exploits aside A well configured Sandboxie is still an effective security layer to have. Its not targeted by hackers and malware writers because not many people use it. Do you have any other security software other than anti virus on you pc? Why is openbsd not more popular? A fantastic OS. That and 15 proxies chained. Never had any problems with Windows Defender. Meh, such a small portion of users got affected it's a non-issue. You should be using Dashlane anyway. The performance of my thing has remained solid since i build it last year....But how would i really know if there ain't a bit of deeeep-rooted code monitoring me....? For IT savy people this is true, but for your run of the mill average person, they will need some kind of AV. Me I generally use MickySoft's own AV, but as of last week I am trying Avast to see how it runs. So far so good. I also use Spybot Search and Destory every month for Adware/Malware etc..
^ only a non-IT savvy person would say that. ^ what that guy said. Just get TMG. Problems solved. Vulcan gives it his seal of approval. I'm going to give this Comodo firewall a try. I've been using Avast for the last 5 years and while I haven't had any problems with it, I've noticed my PC run games begin to run less buttery when I don't format every few months, even with minimal software installations. I'm unsure if my windows install iso is compromised or if i'm just being picky. I also use adblockplus, noscript and have malwarebytes and spybot on hand. Enter you incorrect/broken key they will give you a new one. Malwarebytes Anti-Exploit is a very good effective layer to have. Comodo version 5.10 is the best legendary light weight version to have for win 7. after 5.10 support for win 8 and other unnecessary irrelevant bloatware got added in.